Their first hit, "I'm Into Something Good", was produced by Mickie Most, reaching #1 in the UK (1963) and #13 in the US (1964). Other hits followed such as "Mrs. Brown, You've Got a Lovely Daughter" (1965) and "I'm Henry VIII, I Am". The last was said at the time to be "the fastest-selling song in history". The band played on these singles but many of their subsequent singles employed session musicians, including Jimmy Page and John Paul Jones, with contributions from the band. The band's singles were written by top songwriters of the day. Regardless of how the records were made, the guitar player, Lek Leckenby, was a gifted guitarist. Indeed, all the other members were capable players and Peter Noone was a charismatic front man. The band was nominated for two Grammy awards in 1965, both for "Mrs. Brown, You've Got a Lovely Daughter". Noone and the band deliberately emphasized their Manchester accents on the record, which was never intended to be a single. Born in Manchester, England, Noone was a child TV star in Coronation Street and in other TV work. He was still only 15 when he achieved international fame as teenage heart-throb as leader of the Hermits. 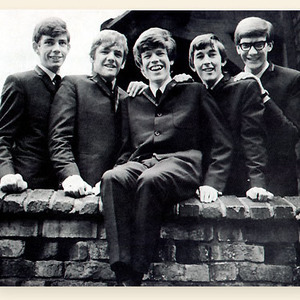 Herman's Hermits, whilst hugely successful in the mid-1960s, never topped the British charts again after their first hit, "I'm Into Something Good". However, they had two US No. 1's with "Mrs. Brown, You've Got a Lovely Daughter" and "I'm Henry the Eighth, I Am". The band disliked both songs, and never released them as singles in Britain. They appeared in several movies, including When The Boys Meet The Girls (1965) and Hold On! (1966). They also appeared on The Ed Sullivan Show, The Dean Martin Show and The Jackie Gleason Show. They enjoyed consistent success in Britain throughout the rest of the decade but they were even more popular in America for a while. Their hits continued until 1967's "No Milk Today". Soon, however, the Monkees had replaced Herman's Hermits as the simple pop rock act, and the Hermits' career declined. "There's a Kind of Hush (All Over the World)" engendered a revival, but the Hermits never again cracked the top 10 in the U.S. This song was, however, successfully covered by The Carpenters in their album "A Kind of Hush", released in 1976. The band continued releasing records throughout the 1970s with little success. In the end, Herman's Hermits were a band which were both blessed and cursed by the 'niche' in which originally they found success.